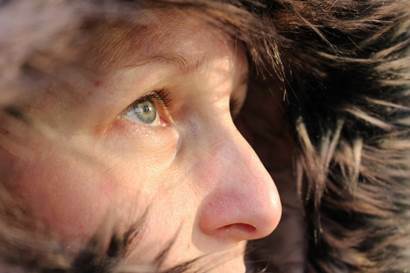 Clients this time of year ask me the same series of questions addressing winter skin wisdom. Answers can be made more specific, but revolve around a couple basic principles. 1. Increase the heaviness of your moisturizer as the temperatures drop ans dry you out. 2. Wash your face with lukewarm water and use a gentle, pH-balanced cleanser. 3. Make sure you are attempting to drink a gallon of water a day. 4. Exfoliation. Depends on a couple different factors and needs to be recommended by a skincare professional. (Skin type and conditions dictate which ingredients/methods/frequency are optimal.) Last, this is a big one. 5. SPF every day is a must, y’all. We recommend at least a 30 SPF daily. Going out in the snow? The sun’s reflection comes back onto your face at an angel that gives twice exposure to the damaging rays. It only takes 7 minutes of unprotected UV-exposure to start aging the skin. Prevention is easier than correction. Basic take away. Avoid losing protective oils that are helpful in the skin’s ability to retain moisture. If the skin is struggling to stay hydrated use products that enhance the barrier function and prevent evaporation from occurring. Don’t forgot your sunscreen. If you don’t have a day-cream/SPF/moisturizer that you love, come learn why Drs. Banerjee selected the OsmosisMD product line for their practice. Dry, flaking skin or another concern? Set up a completely complementary consultation at the Apex-MD Wellness Center located on the second floor. Using our advanced-computer imaging system we will analyze your skin and develop a holistic approach to heal and repair your skin.